"Keith, we would like to thank you for the outstanding performance you pulled off at our wedding! It was truly amazing! We were amazed on how you were able to keep the crowd dancing all night. We cannot thank you enough for making this a memorable night for not only our guests, but us as well." "My parents saw Keith at another wedding and recommended him for our wedding; they couldn't stop raving about his talents! We, as well as our family and friends, were absolutely blown away from his singing. We can't thank both Keith and Sheree enough for making our wedding so special with the outstanding entertainment! The most memorable parts of the wedding were when Keith sang the father/daughter and mother/groom dances; we will never forget those special touches!! He made the whole booking process so easy for us from beginning to end. Whenever we had any questions, he would either email or call us back very quickly; we appreciated all of his advice!! Throughout the evening, he communicated with us about the timeline of events and informed us of what to expect!! He truly knew how to read the crowd and decide on the music; everyone was up on the dance floor dancing the night away!! The night was absolutely amazing, and we couldn't have asked for anything more! We would recommend him and his staff for any of our family and friends; Pierce Entertainment was remarkable!! Thank you again for making our wedding so memorable!!!" "Keith did our wedding and everyone had a great time. Not only did he wow the crowd with his vocals during dinner, but he was flexible to last minute changes. We will continue to use Keith for future events as our guests deemed him "the best in the biz!" "Keith Pierce and his production company went above and beyond what we could have ever expected. They did a phenomenal job at running everything, gaging the crowd, and provided what will always be an awesome night to remember! The wedding singing was an added surprise, thanks again for a fantastic job." "Keith and Rachel have beautiful voices and everyone loved that we had "actual live singers" at our wedding reception. They made our reception unique and memorable. Keith and Rachel interacted with our guests very well. They rocked the "stage." Thank you, Pierce Entertainment!" "Keith and Rachel were wonderful~! Keith and Rachel helped make my daughter's wedding special. Their performance of the songs she had selected for her ceremony was flawless. I appreciated their smiles and they made me feel they were glad to be a part of our celebration!!! Thanks to Keith and Rachel....you are the best!" "Keith, I wanted to thank you again for a fabulous job at Shannon's and Bryan's wedding. I had sooo many guests tell me it was the best music of any wedding they have attended. One of my dear friends even said makes him want to throw a party just to have you as the entertainment! Thank you for a wonderful evening!" "Thank you so much for providing music and entertainment at our wedding on 8/4/12, at the Downingtown Country Club. We had so much fun and our guests are still saying its the most fun they have ever had at a wedding! Again, thank you for making our day so special!" 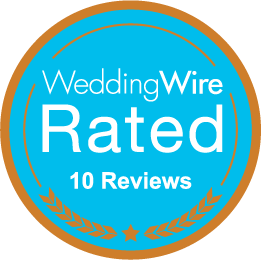 "Keith Pierce was highly recommended to us by a friend and we are so glad we booked him for our son's wedding! After our initial contact with him, he immediately followed up with written communication, making the entire booking process easy. He was wonderful to work with and the whole evening ran smoothly as a result of his attention to detail. 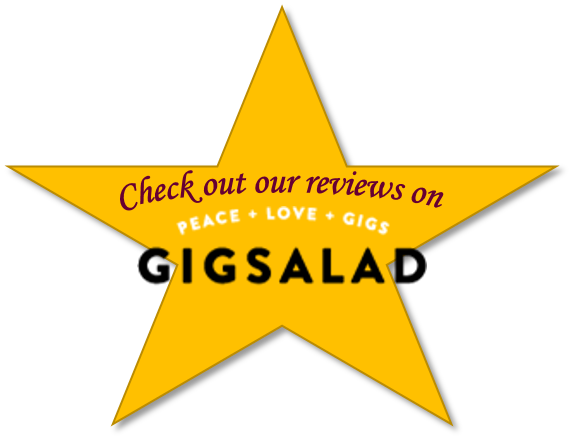 We were extremely pleased with the quality of services and we can't say enough about the talent that he, along with one his talented entertainers shared at our event. They were both beautifully dressed and they were excellent at reading the crowd. Keith played great music for all ages and the crowd was up dancing all night long! We look forward to having him AGAIN at our daughter's wedding this Spring!" "The entertainment for the reception was on point. The evening was perfect. I have polled the audience and each person I talked to felt the music was 'just the right mix and appealed to everyone.' Mark and Catherine did a fine job." Thank you! Thank you! Thank you! We really can’t thank you enough for your outstanding entertainment at our wedding. Our guests are still raving about you! As we told you before, we knew from the first moment in the planning process that we wanted you for entertainment. You did not disappoint. Although we were delayed in getting to the reception, you entertained our guests during the wait and we thoroughly loved listening to you and dancing with you. We were so blessed to have you! You can be guaranteed that we will be one of your “outspoken” fans who will refer you and will hopefully see you in the future at other events. Thank you! We once again had the privilege of having Keith and Sheree perform at our daughter's wedding reception. They have been the performers at all 3 of our daughter's weddings, as well as one of our cousin's wedding. We wouldn't think of having anyone else. Thank you for another wonderful night! WeWe just want to express our appreciation to Sheree and Mark for doing a fabulous job at our daughter’s wedding reception at Chester County Historical Society. They were classy and professional, and amazed our guests with their live singing. We will recommend Pierce again and again. Thanks for helping make our evening very special. 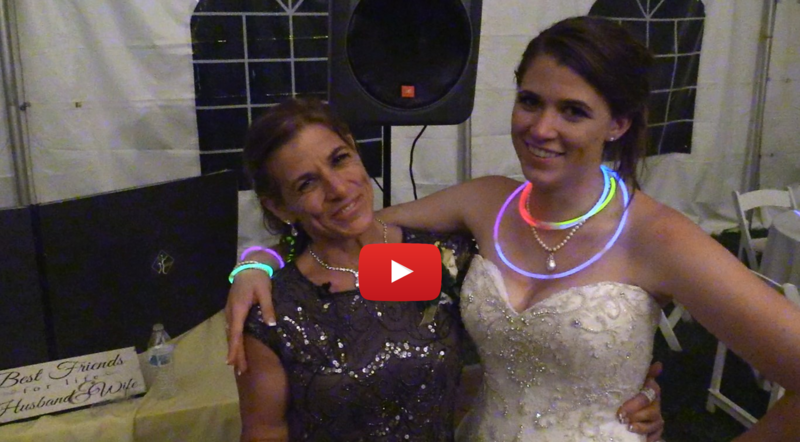 WeWe wanted to express our deep appreciation for the wonderful entertainment that Keith and Catherine provided for our daughter Kristina and Chris' wedding reception at Overbrook Golf Club. Keith and Catherine are professionals with an elegant presence and their beautiful "live" singing during dinner was a wonderful touch. Keith was the perfect DJ - entertaining but not too overwhelming, while he kept the attention on the bride, groom and guests. He really knew how to "read" the crowd with the music selections, too - everyone, young and old, hit the dance floor, which was packed all night! We even extended the reception a little longer because it was going so well. We couldn't have asked for anything better! 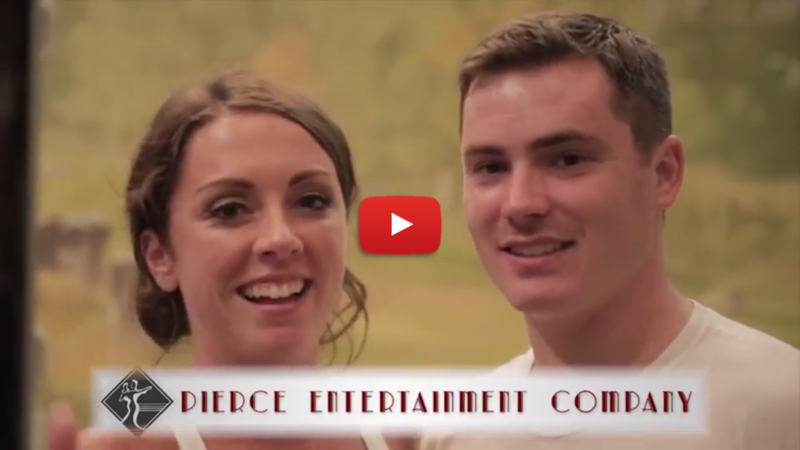 We will definitely be calling on Pierce Entertainment for future events. Thanks again to Keith and Catherine for a wonderful event! We wanted to thank you for the wonderful entertainment at our wedding reception. We got so many compliments on your singing during the meal. Our guest loved it! The music that was played was also wonderful. Everyone had such a nice time! We could not have imagined anything better. Thank you again for a wonderful reception! I just wanted to send a big thank you—Keith & Sheree were fabulous at my wedding on at Normandy Farms. They were so much fun and MADE the wedding reception! I have received nothing but excellent reviews about them and so many people have asked for their information! I really can’t thank them enough for the wonderful job they did. Thank you so much and hopefully I will see you at another event soon! Thank you so much for everything you did to make my wedding absolutely wonderful! I got more compliments about the music than anything else! If you ever need a reference, please feel free to give out my contact information. Just wanted to droJust wanted to drop you a short note to say thank you for a terrific job this past Saturday. You made our son and daughter-in-law's wedding reception so enjoyable we didn’t realize the evening had flown by so quickly until the shuttle driver came walking through the door. Your voices are tremendous and we rec’d nothing but high compliments on you both. My father-in-law especially LOVED that he was one of the "chosen one's" to be sung too. Thanks again. 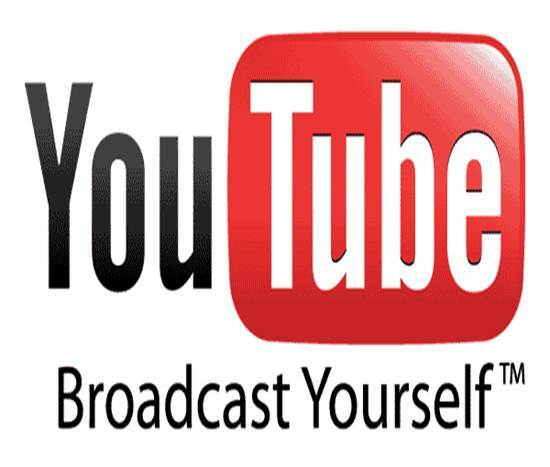 You can be sure we will continue to recommend you to all who are looking for entertainment! Thank you so much for supplying the music at Kate and Matt's wedding at Mendenhall Inn. You were a pleasure to work with and helped to make their wedding day very special and everything we wanted it to be. Everyone enjoyed your choice of music and the dance floor was full all night. We really enjoyed your vocal songs during and after dinner. I would highly recommend your services to everyone. Thank you again. I just wanted to thank you all so much for such a wonderful job at Rob and Amanda's wedding on Saturday. Everyone is still talking about what a great time they had dancing to your wonderful voices. Thank you again. Thank you so much for the fantastic evening we had last Friday night at the Mendenhall celebrating our daughter's wedding! You were terrific as always and our family and friends could not say enough about you. You really appealed to everyone, young and old, and your professionalism can't be beat! I think several people took your card so we'll be looking forward to seeing you again at future events! I wanted to thank you and Jen for entertaining at my nephew George's wedding. You both were wonderful but I already knew that since I have had the pleasure of being at a wedding where Kevin and Sheree were the entertainers. The compliments are still coming in as to where we found such great entertainment. When my Dad, who is 85 yrs. old, tells me that it was the best time he ever had at a wedding and the singing was fantastic, that is testimonial in itself. You can count on us to continue to sing your praises and recommend Pierce Entertainment to everyone. Thank you and keep up the good work. Kevin and Keith, How can I ever thank you for such a wonderful time that we had last nite..... you guy's made the wedding.... never have these people had such a wonderful time and the compliments are still coming in this morning... we will be there on new years eve with bells on..... keep us posted on your future bookings. All our love and God Bless! JDear Keith: I wanted to thank you and your partner for entertaining at my daughter Maureen's wedding. To say you both were wonderful - would be an understatement! Your professionalism was outstanding! I know I speak for myself, as well as my family and guests when I say thank you for helping to make my daughter's wedding so memorable. Everyone had a wonderful time and you two certainly were a big part of that success. Be assured I will be 'singing' your praises and recommending you to everyone. In September of 2000, my daughter Jennifer was also married. Kevin and a female colleague sang/entertained there. That too was great fun and delightful. It began our love affair with the "Pierce Entertainment Company". We knew that Maureen's wedding would be outstanding also. We were not wrong! I still have three sons - that hopefully will be married someday. I certainly will recommend Pierce Entertainment when the time comes. Best wishes in the future. Keep up the good work. The music was perfect! 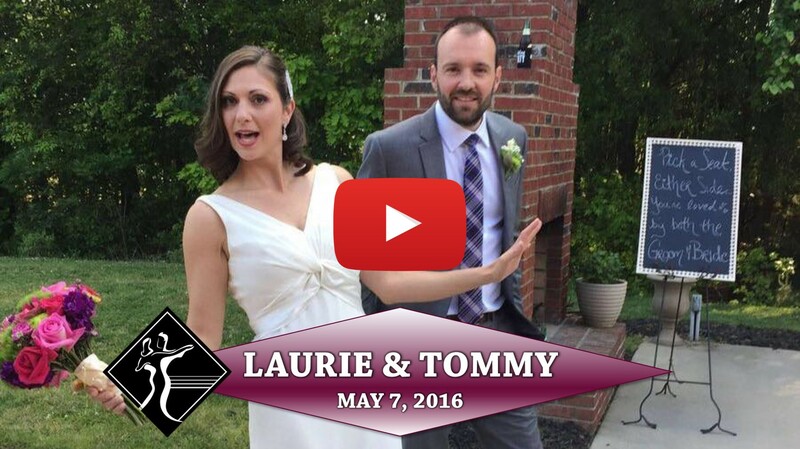 I can't tell you how much we appreciated the singing and DJing at Laury's wedding reception. The music was everything she and Tim wanted. You have beautiful voices and an engaging presence. Many of our guest said they didn't realize you were singing until they looked up and saw you at their table. Everyone appreciated the variety, the dancing and the ability to still be able to talk at their tables without blarring music. Choosing you for the reception was the best decision we could have made. Thanks again!